At some point in the future, I’d like to volunteer some time to help residents with their online job searches (having recently undertaken this process myself, I feel well-qualified to help others). 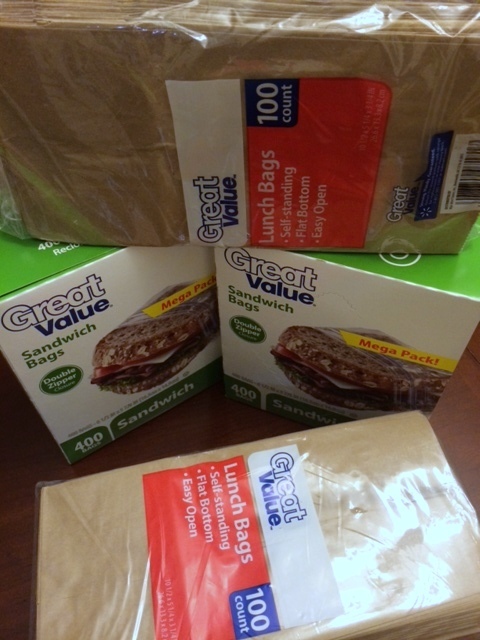 But since “job search assistance” doesn’t start with Z, I turned instead to the center’s donation wish list, where I found a request for Ziploc® sandwich bags. I grabbed the baggies and a couple packs of brown lunch bags (also on the list) while I was shopping, and will take the whole lot down to the center next week. In an attempt to overwrite all the negative feelings I have about April I have made a pledge to complete 26 random acts of kindness this month. Reporting on these acts is the theme of my participation in this year’s April A to Z Challenge. If what you read here inspires you to commit your own RAoKs this month, please share what you’ve done in the comments. Together, we can rewrite April’s legacy!